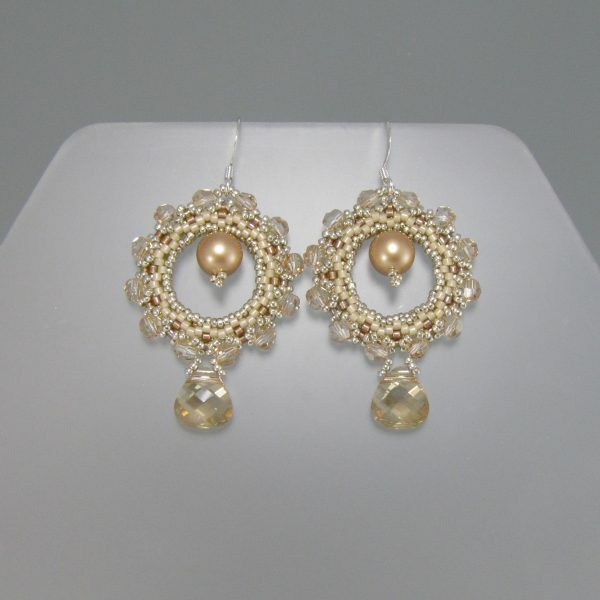 This earring project was developed on a plane from England back to the USA, when I had lots of time to play with some new, pretty beads. The number of repeats around the almost perfect circular shape of the ring component was twelve, my favorite number. 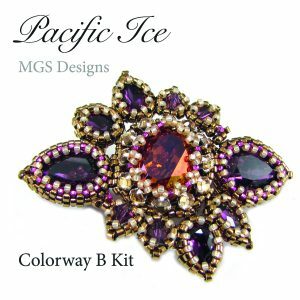 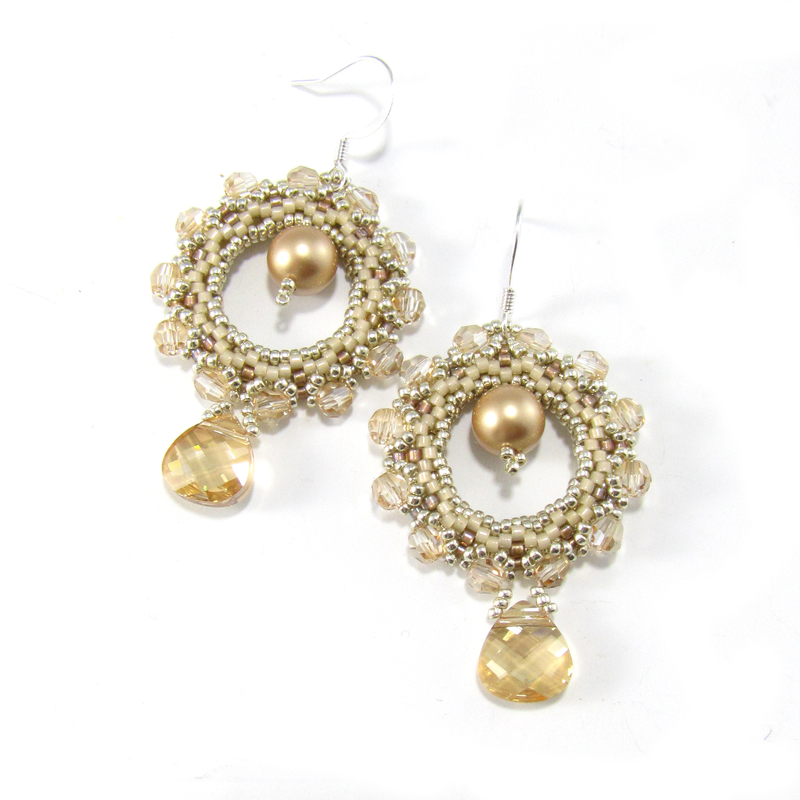 This listing is for the golden shadow colorway kit as pictured, which comes with a printed direction set and all the beads you need to complete the earring project.